RICHMOND, Va. — Team owner Jack Roush said the deal was for “years” but wouldn’t say for how many, but Saturday’s announcement at Richmond Raceway confirmed that Ryan Newman’s immediate future lies behind the wheel of the No. 6 Roush Fenway Racing Ford in 2019, after Newman closes out his current tenure in the No. 31 Richard Childress Racing Chevrolet. Newman will replace 2011 Daytona 500 winner Trevor Bayne in the No. 6 Ford. Matt Kenseth, who has spelled Bayne behind the wheel for the bulk of the races in the second half of the season, opted not to seek the ride full time for next year, according to Roush Fenway president Steve Newmark. Newman, who started his Monster Energy NASCAR Cup Series career in a Team Penske Ford, has accumulated 18 victories in 611 starts in NASCAR’s premier series. The 2002 Cup Rookie of the Year earned the nickname “Rocket Man” for his qualifying prowess, which has produced 51 career poles, ninth on the all-time list. Newman’s last pole came at New Hampshire Motor Speedway in the 28th race of the 2013 season. He scored his last victory at Phoenix in 2017, thanks to a bold call to stay out on old tires near the end of the race. Newman’s most noteworthy wins came in the 50th running of the Daytona 500 in 2008 and the 2013 Brickyard 400, which he won from the pole. Newman achieved his best result in the final standings in 2014, the first year of the elimination format was used to decide the championship. Driving for Childress, Newman qualified for the Championship 4 finale at Homestead-Miami Speedway without winning a race and managed a runner-up finish, a half-second behind champion Kevin Harvick. 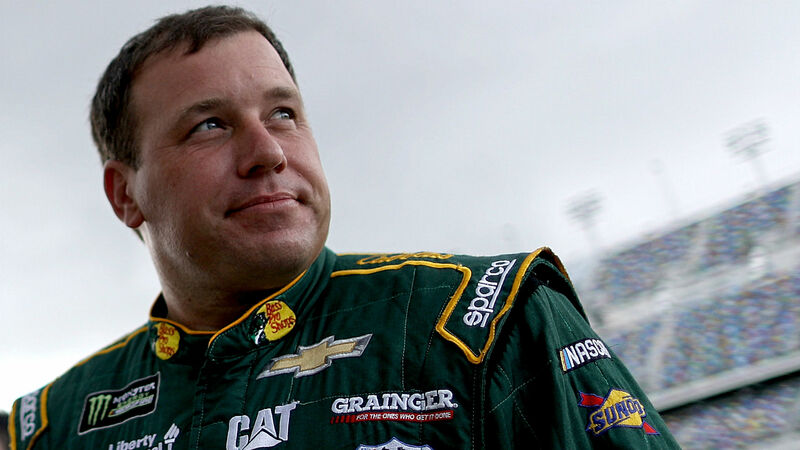 Newman is the only driver in the garage with an engineering degree, which he earned at Purdue University. Famed for his own engineering innovations, Roush prizes that sort of knowledge highly. “The fact that he has an engineering degree makes him more valuable to me as a driver than he might be without that,” Roush said.